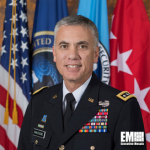 Gen. Paul Nakasone, director of the National Security Agency and commander of the U.S. Cyber Command, has instructed both organizations to exchange information and coordinate efforts to deter foreign interference in November midterm elections, The Washington Post reported Tuesday. Nakasone, a two-time Wash100 recipient, announced this directive to NSA staff as Russian President Vladimir Putin continued to deny allegations that his country influenced the 2016 U.S. presidential election. “Nakasone and the heads of the other three-letter agencies are doing what they can in their own lanes, absent an overall approach directed by the president,” said Michael Hayden, a former NSA director. Director of National Intelligence Dan Coats on Friday warned about cybersecurity threats to the country’s critical infrastructure. That same day, special counsel Robert Mueller III named the 12 Russian military officers who have been indicted for hacking Democratic National Committee emails during the previous election campaign.